This is part four of a series of exclusive conversations with this year’s Architectural League Prize winners. Hunter Douglas Architectural is thrilled to support the legendary design competition. Click here to review competition rules and apply for the League Prize, which is accepting submissions through February 11. 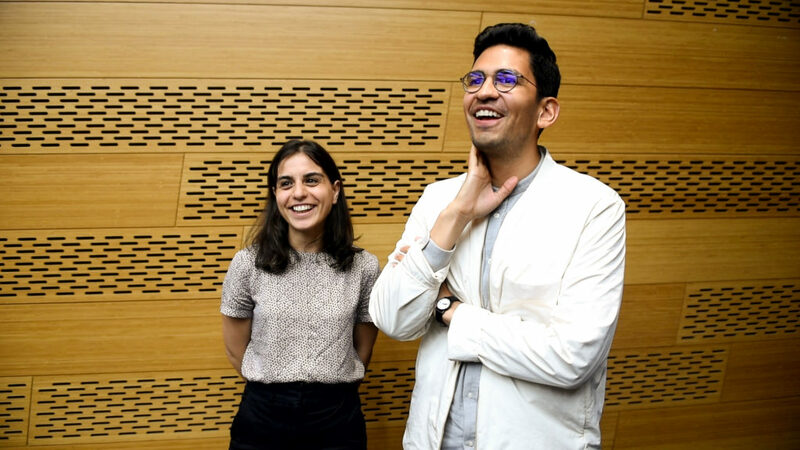 Gabriel Cuéllar and Athar Mufreh are partners in life, and since getting married and moving to New York two years ago, they’re also partners at their architectural practice, Cadaster. 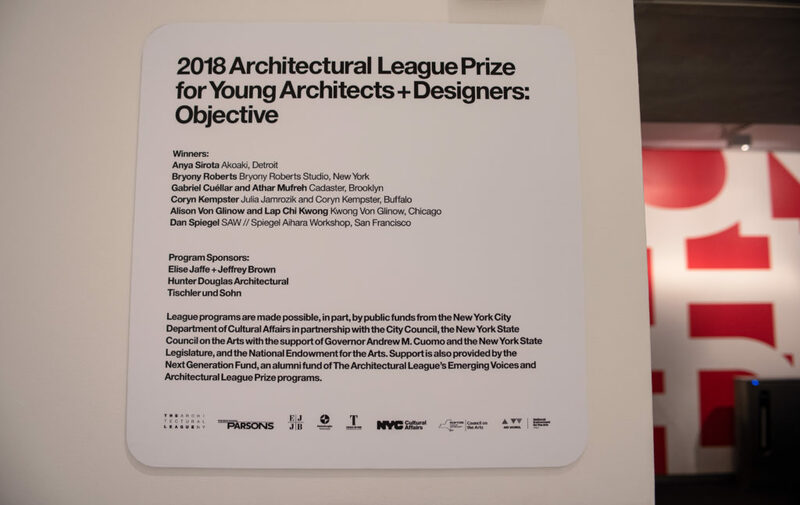 This year the duo won one of six coveted awards for their submission for the prestigious Architectural League of New York’s League Prize for Young Architects and Designers, which focused on the theme of the “Objective.” The League Prize, which Hunter Douglas Architectural is proud to sponsor, is now in its 37th year. 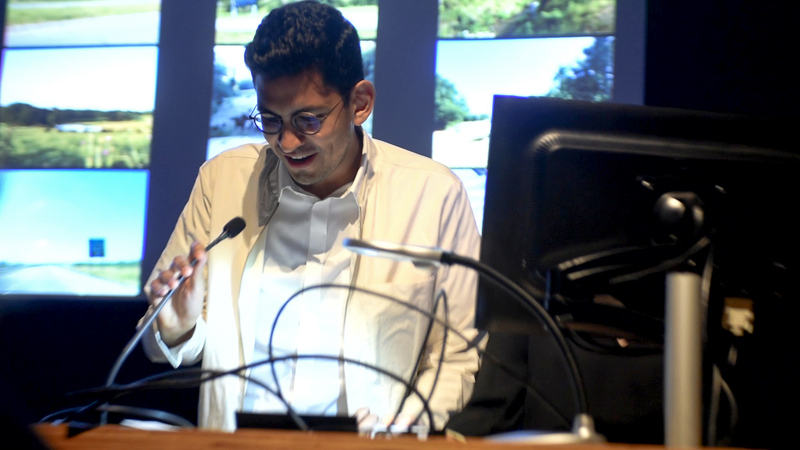 This year’s winning work was presented in an exhibit at Parsons School of Design. There, we caught up with Cadaster after the couple delivered a lecture on their installation. An official register of the ownership, extent, and value of real property in a given area, used as a basis of taxation. 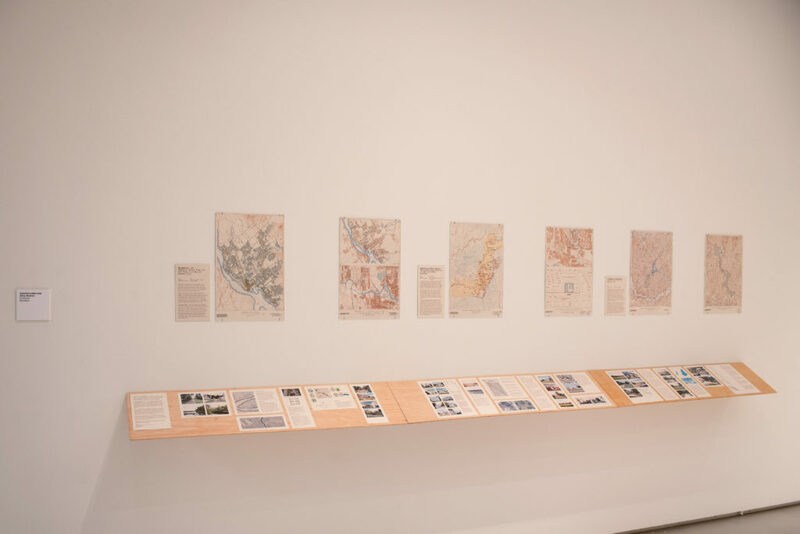 They took an “Objective” approach to architecture by exhibiting unconventional maps, which consider the “geographic dynamics” of property ownership, plus related social and historic conditions. 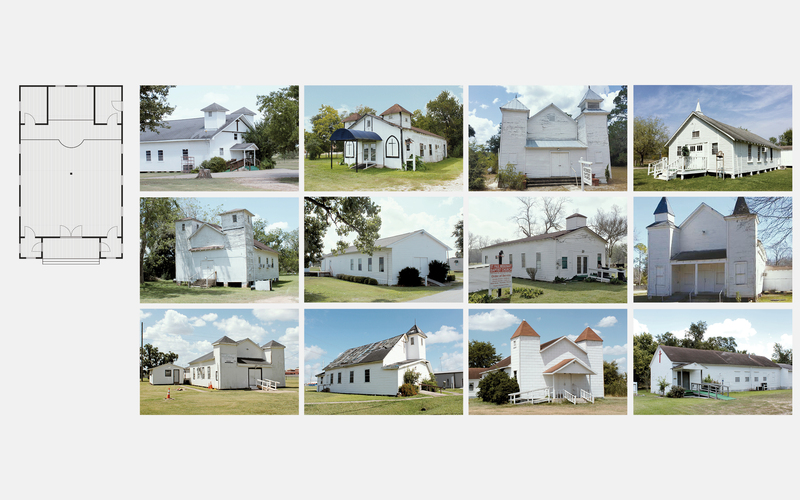 Part of the map series built upon their ongoing project on the physical preservation and social significance of African-American churches in the south. 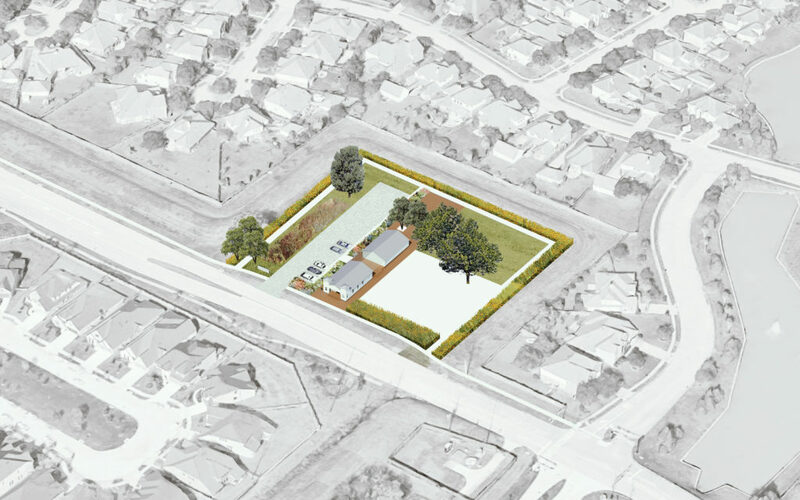 A little history: in 2014, Cadaster worked with Saint John Missionary Baptist Church in Houston, Texas to gain a deep understanding of its community and history, and communicate this to the larger public while also preserving its architecture. In exploring property ownership, they discovered other examples of what were once rural African-American churches that are now located in the middle of suburban areas, and fighting for their existence. 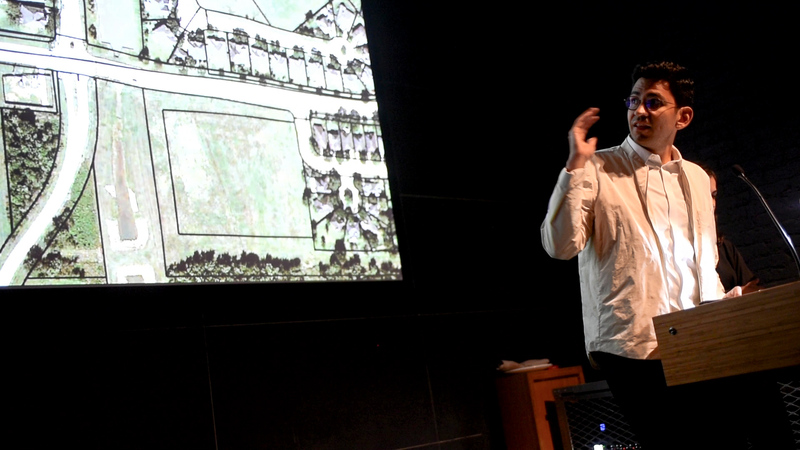 Athar Mufreh, explaining property ownership at their lecture at Parsons School of Design. 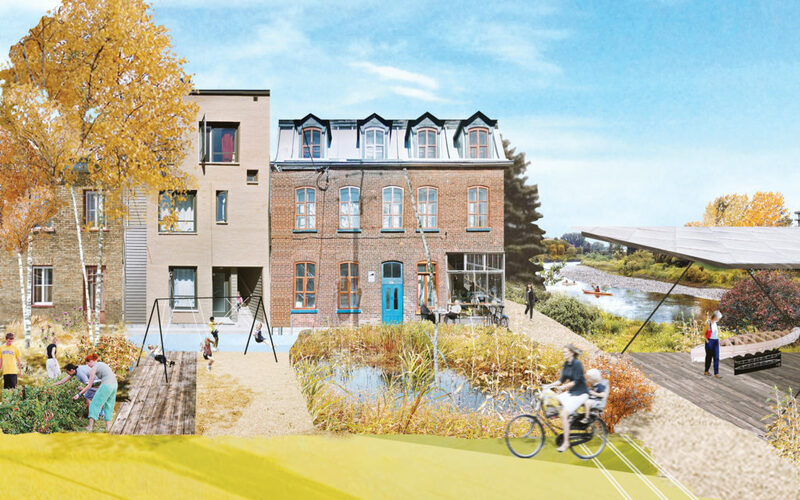 The ongoing project, which ultimately helped Saint John join the National Register of Historic Places, raises awareness around land politics. As Cadaster continues to identify and connect with churches in similar positions, they create renderings for their rehabilitation so that the churches can remain active, and thus, retain their rights to the land. With tight restrictions on property usage, in these cases, Cadaster explains that if church services cease, the land automatically must be returned to the heirs of its original owner. These churches, in many cases built around the same era by recently freed former slaves, often share a similar architectural language that includes open front porch-style entrances, large-scale windows, two steeples, and a prevalent use of white painted-wood. And in a way, all are operating on borrowed land. 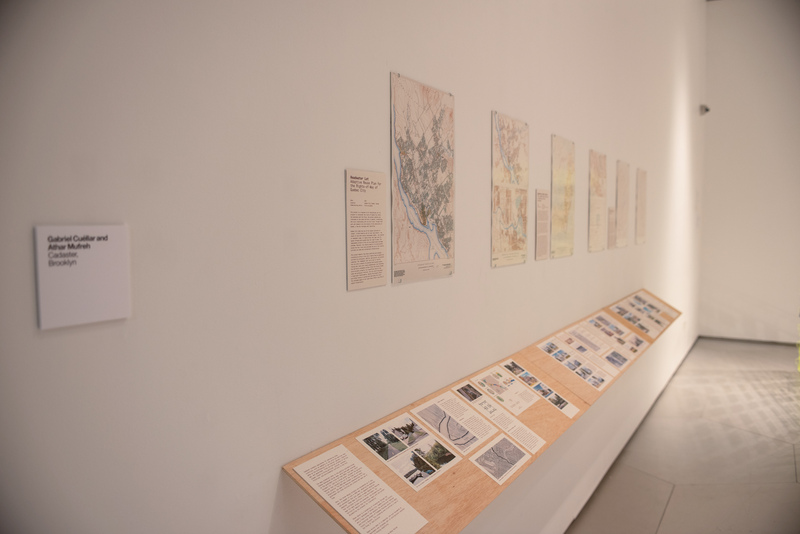 Cadaster’s use of mapping as a dialogue to express ideas on architecture, design, history and social conditions extends to other projects too, like a fresh vision for the New York Canal System. Cadaster exhibited unconventional maps, which consider the “geographic dynamics” of property ownership, plus related social and historic conditions. “It wasn’t a linear way that we arrived at this. It just happened over time that these ideas started to come into what we were doing,” explains Cuéllar. “Property is such a significant thing.” He says in practicing architecture there’s typically a concentration on the design of buildings. 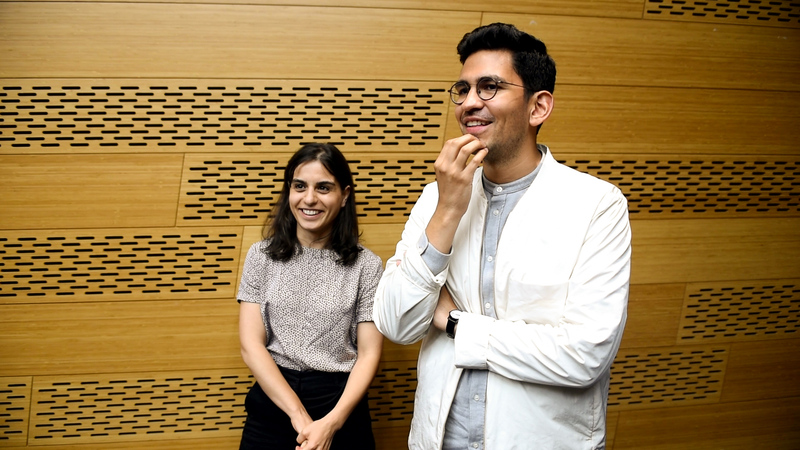 “If you think about architecture and urban space, ultimately it comes down, we think in many ways, through the land, the surface of the Earth, and who can be there and under what terms, and also how the poverty lines are actually defining what buildings are,” Cuéllar notes. Cadaster worked with Texas’ Saint John Missionary Baptist to gain a deep understanding of its community and history, and communicate this to the larger public while also preserving its architecture. “It’s a map of what the dynamic of the territory would be,” Cuéllar furthers. 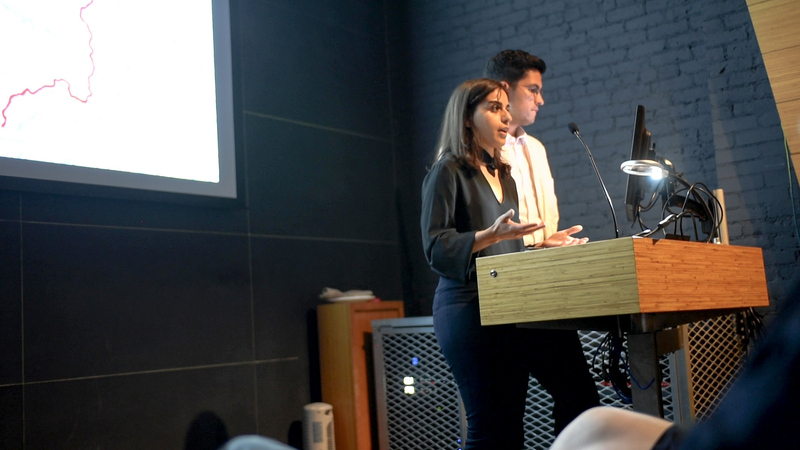 Cadaster uses mapping to express ideas on architecture, design, history and social conditions for projects like a vision for the New York Canal System. Here, Athar explains that the firm’s name, Cadaster, is a term used to describe a map of properties, or by dictionary definition, one that depicts “an official register of the ownership, extent, and value of real property in a given area, used as a basis of taxation.” “A lot of people don’t know that,” Cuéllar offers. Meanwhile Cuéllar laughs that when people “hear ‘cadaster,’ they think it’s disaster or cadaver, or all these different things. We’re working on…” – “that,” finishes Athar with a smile. One has to imagine that their working relationship goes a little like this conversation with each offering a new thought as the other nods in agreement, only occasionally breaking to raise an eyebrow in surprise or crack a smile. At the end of the day, the duo behind Cadaster can finish an idea – or a sentence – in unrehearsed harmony. Gabriel Cuéllar and Athar Mufreh met while studying, got married and moved to New York, and started their own practice. He offers an example: two years ago, Cuéllar individually applied for the League Prize design competition and did not win. This year, when they applied together for the first time as Cadaster, they won. “That was a good sign that working together is going to go somewhere,” Cuéllar reflects. The prestigious Architectural League Prize design competition is now in its 37th year. Hunter Douglas Architectural is a proud supporter. Alison Von Glinow and Lap Chi Kwong of Kwong Von Glinow in Chicago; and Dan Spiegel of SAW // Spiegel Aihara Workshop in San Francisco.